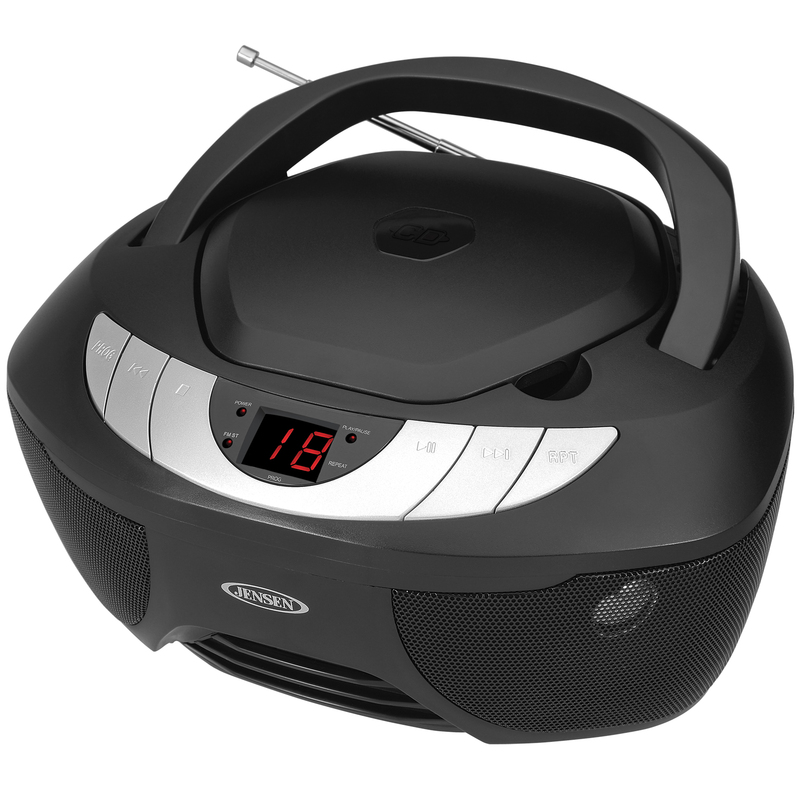 Experience great sound with the JENSEN® CD-475 portable CD music system. 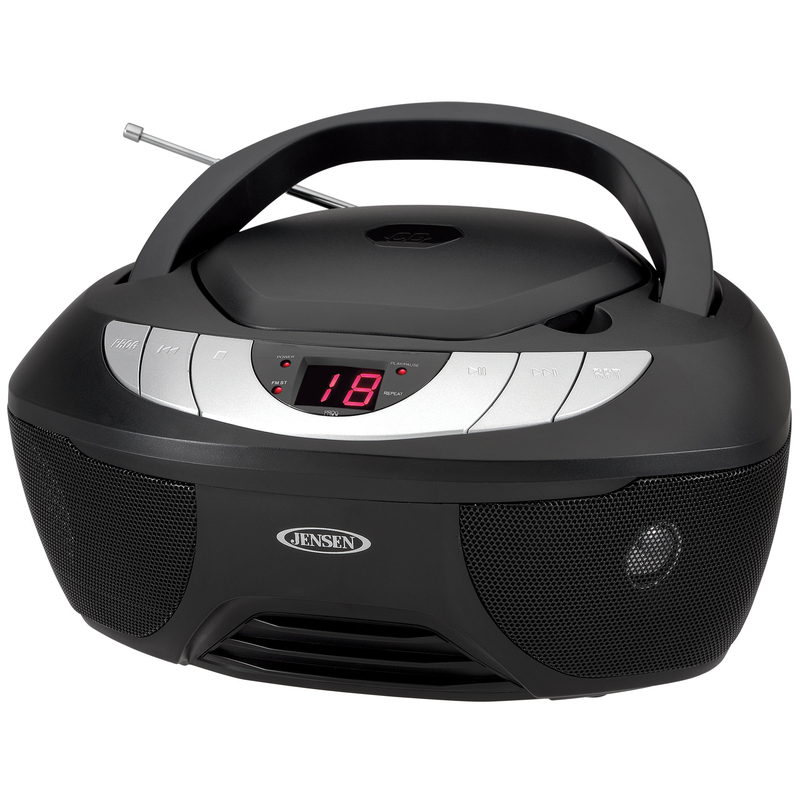 This device may look like a traditional boombox, but it is jam packed with features that will make listening to your favorite tunes easier and more enjoyable than ever before. Play music from a CD, AM/FM radio, or connect your iPod®, MP3, or other digital audio players to the auxiliary input jack. When you power on your device, find all your favorite tracks, stations, and audio settings stored into the unit’s programmable memory. This modern boombox also has a bright and bold LED display, which details the disc and track. 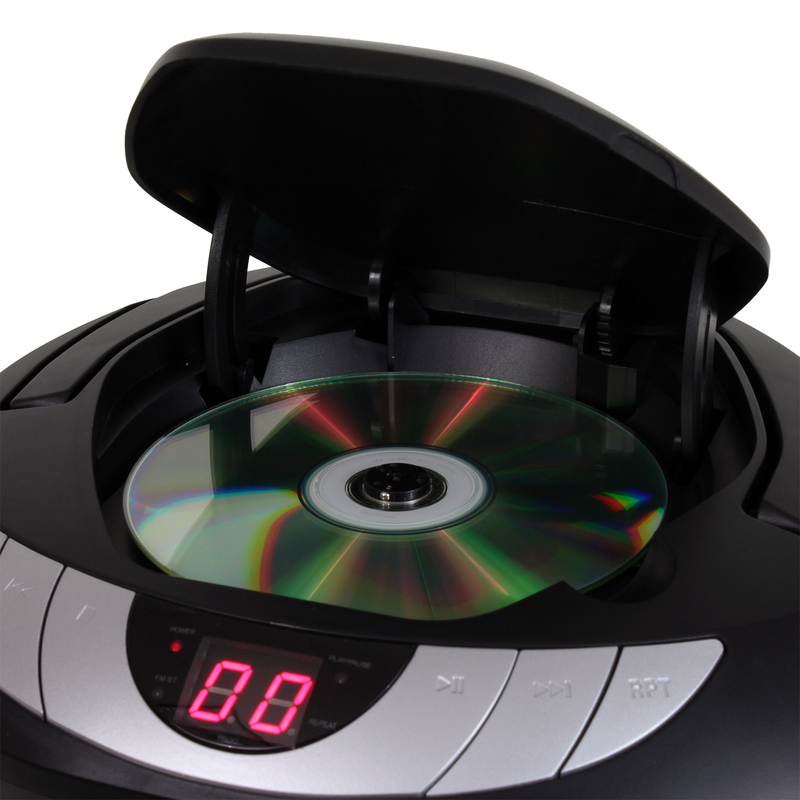 This CD-475 operates on 120V AC/60Hz as well as six (6) x C batteries (not included). 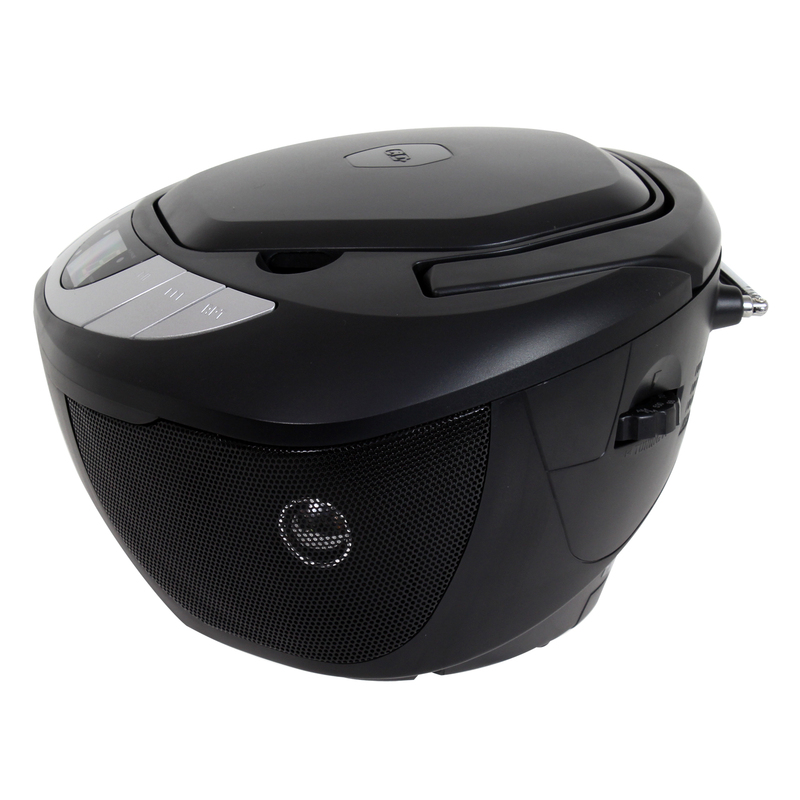 This versatile and portable JENSEN music system can be left at home or taken with you wherever you go!